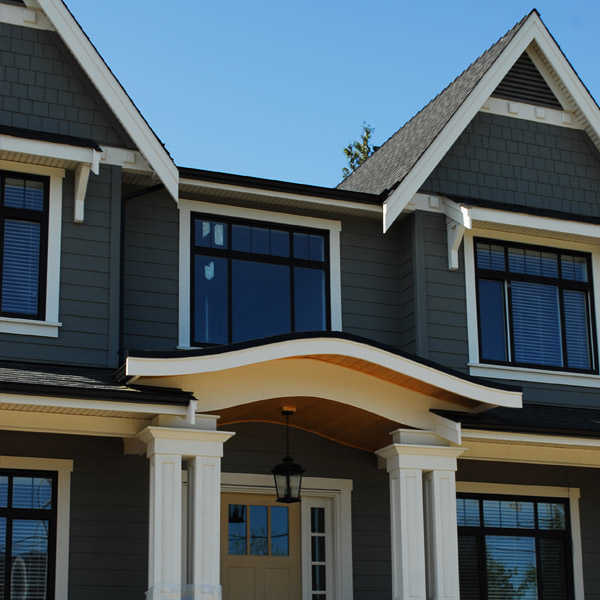 Complete Gutters is Vancouver's gutter and downpipe specialist. We provide superior gutter services, long-lasting soffits, leaf guards, gutter replacements and more to protect your home for the years to come. Gutter installation, repair and cleaning is our sole focus here at Complete Gutters. We deliver quality results on every job; on time and within your budget. Our team has the expertise and the equipment needed to properly install gutters and eavestroughs. We work to make sure that your roof, siding and interior remain dry and damage-free. We cover a wide range of services for your gutters, cleaning and servicing all sizes, makes and brands of gutters. Whether you need re-sloping, repairing a leaky corner or a complete gutter replacement, we deliver on time and on spec. Our LeafGuard system protects your gutters from debris, saving you time and money. Forget cleaning out the gutters or spending money every year getting it done. Protect your gutters from leaves and debris with LeafGuard from Complete Gutters. Protect your roof, siding and house from water damage by making a single phone call to Complete Gutters. By keeping your roof and gutters clean , you're not only prolonging the life of your roof, you're also keeping your insurance in good standing. Whether you 're a homeowner who wants to brighten up your existing residence, or you’re a builder or strata manager looking to get an entire townhouse complex done, we have the right know-how and equipment at Complete Gutters. A rotting downpipe leaves no way for water to escape to the storm system. Our downpipes are made of coated aluminum, giving a long and worry-free lifespan. These come with an industry standard warranty (please contact us for details). A single phone call to Complete Gutters starts the ball rolling to protect your property from water damage. Keeping your roof and gutters clean not only prolongs the life of your roof, but it also keeps your insurance in good standing.